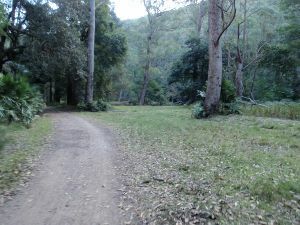 Continue straight: From the clearing, this walk follows old Lady Carrington Drive management trail uphill keeping the Hacking River to the left. 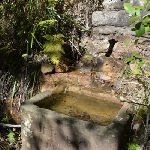 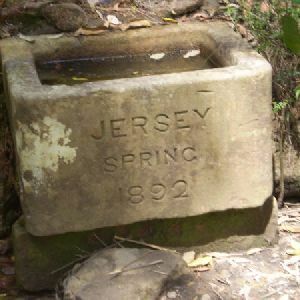 After about 100m the trail leads past a ‘Jersey Springs’ information sign and comes to the two sandstone sandstone ‘Jersey Spring’ troughs. 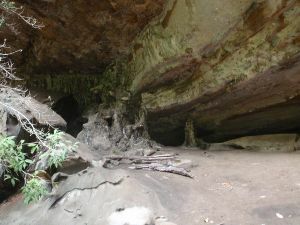 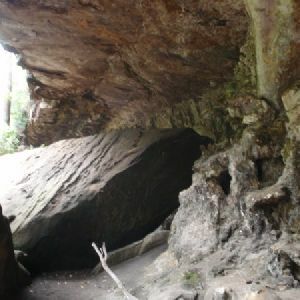 section of trail below the overhang.
. 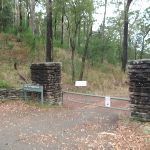 The walk continues along the dirt trail for about 400m, to head around the locked gate and come to an intersection just past the ‘Lady Carrington Drive’ sign. 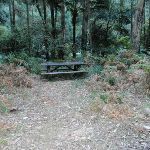 Seats: There are 6 places to sit on this walk. 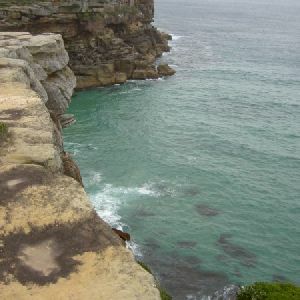 They are on average 1850m apart, with a maximum gap of 2640m. 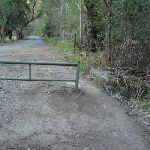 Trip Hazard A number of the culverts crossing creeks along Lady Carrington Drive have unfenced and unmarked edges. 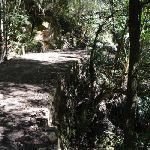 The potential fall is significant enough to cause serious injury or death. 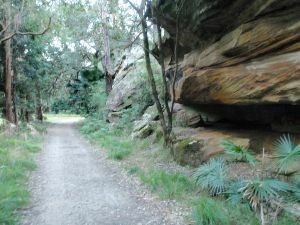 Stay well clear of the edges. 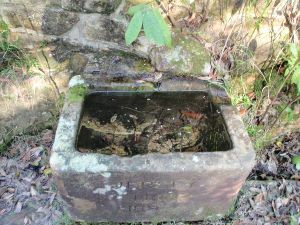 Found about 5310m into the walk. 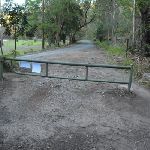 Trip Hazard There are a number of tall stone walls and culverts crossing creeks along Lady Carrington Drive that are unfenced and have unmarked edges. 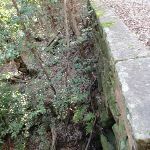 The potential fall is significant enough to cause serious injury or death. 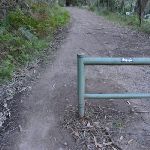 Stay well clear of the edges. 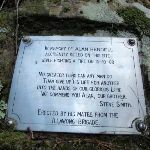 Found about 9110m into the walk. 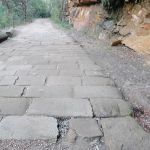 Trip Hazard An 8cm trip hazard between dirt and cobblestones. 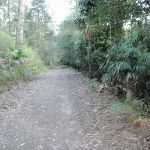 Found about 9280m into the walk. 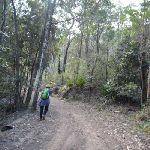 4.9km of this walk has gentle hills with occasional steps and another 4.3km has short steep hills. 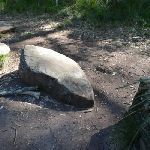 The remaining (430m) is flat with no steps. 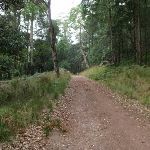 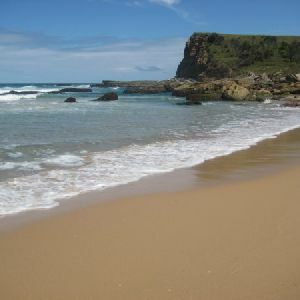 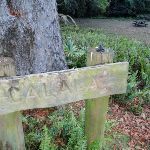 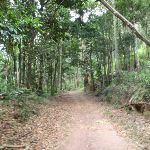 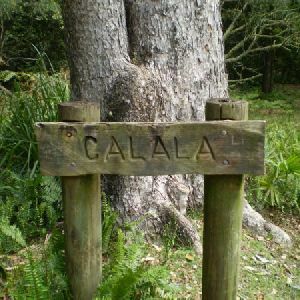 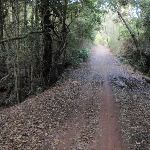 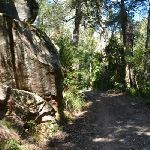 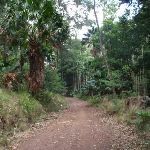 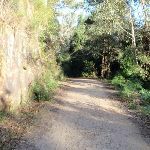 Around 9km of this walk follows a clear and well formed track or trail, whilst the remaining 1km follows a smooth and hardened path. 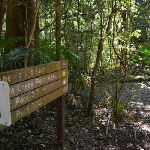 Around 5km of this walk has directional signs at most intersection, whilst the remaining 4.4km is clearly signposted. 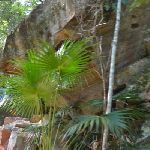 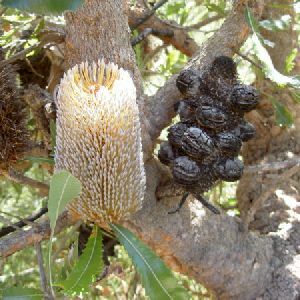 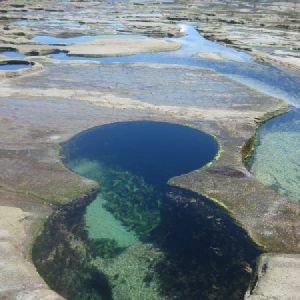 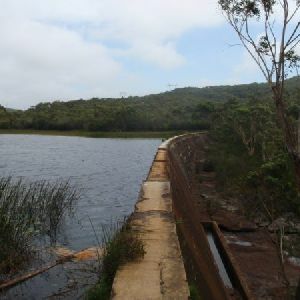 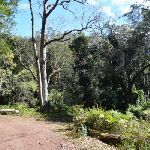 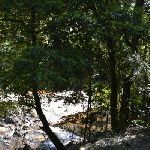 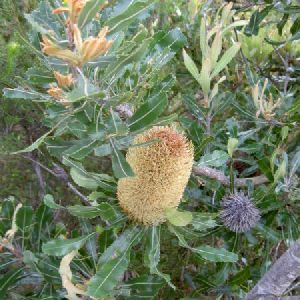 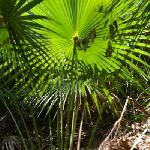 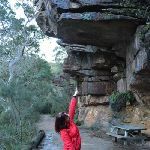 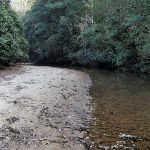 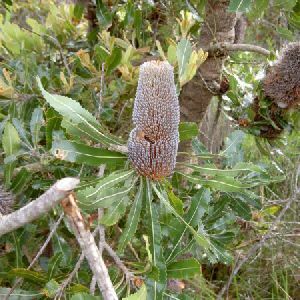 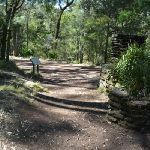 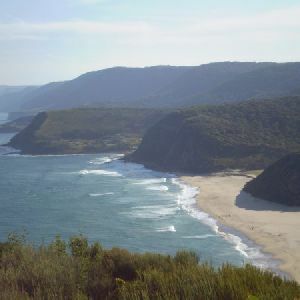 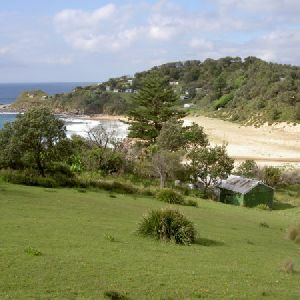 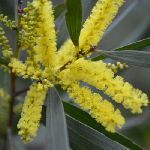 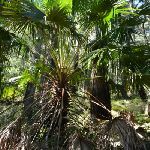 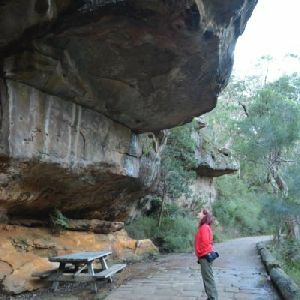 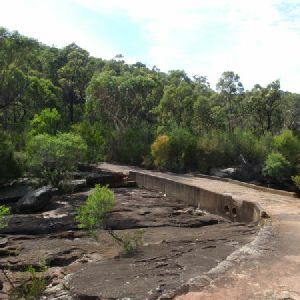 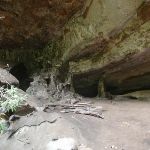 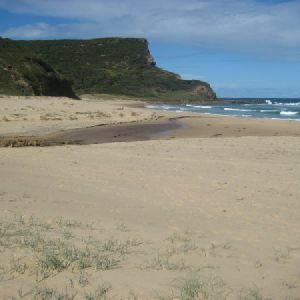 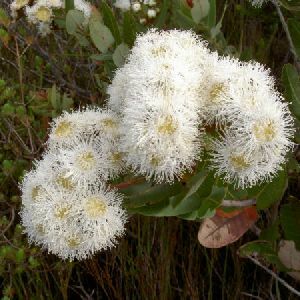 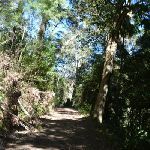 Around 7km of this walk requires no previous bushwalking experience, whilst the remaining 2.6km requires some bushwalking experience. 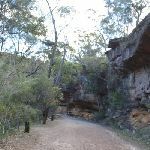 This whole walk, 10km is close to useful facilities (such as fenced cliffs and seats). 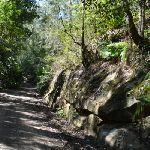 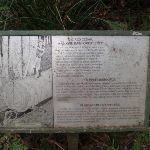 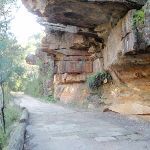 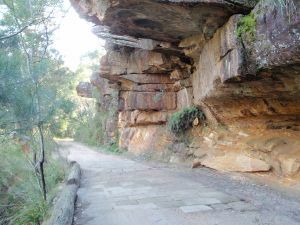 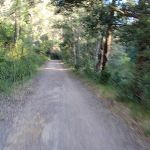 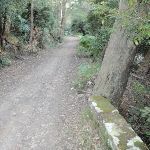 A list of walks that share part of the track with the Lady Carrington Drive walk. 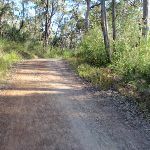 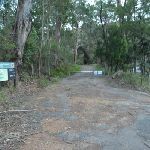 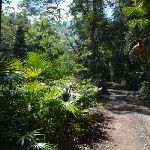 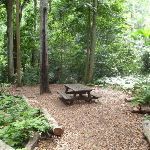 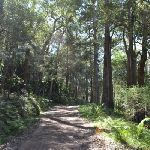 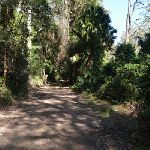 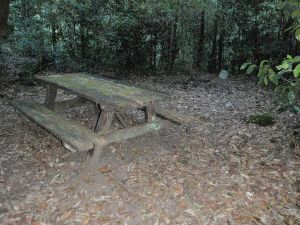 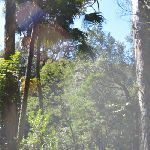 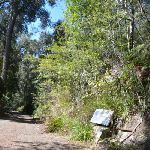 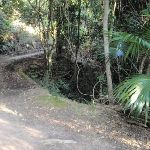 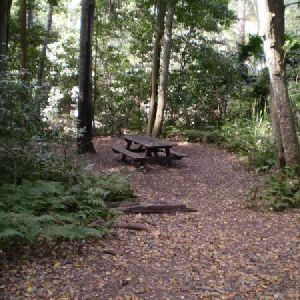 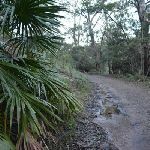 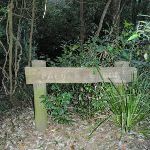 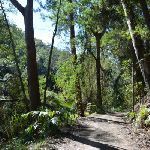 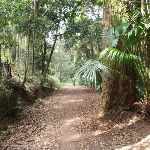 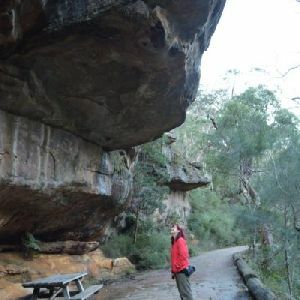 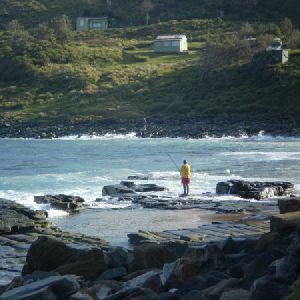 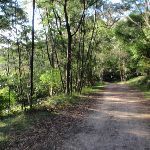 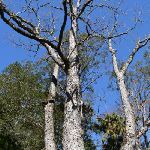 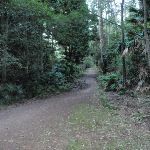 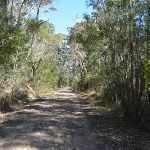 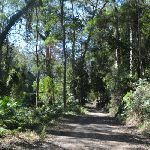 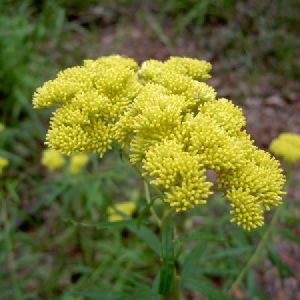 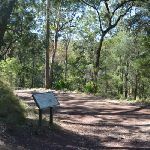 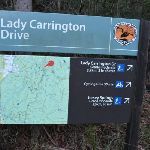 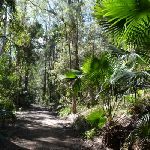 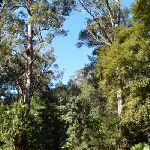 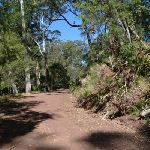 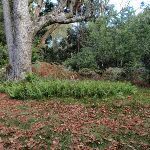 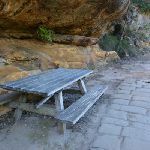 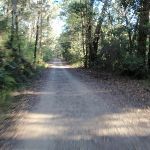 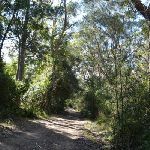 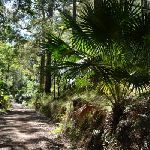 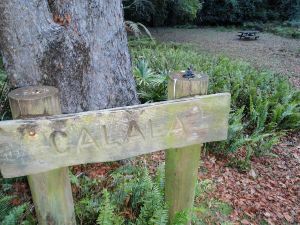 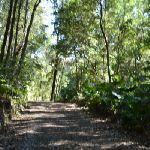 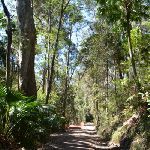 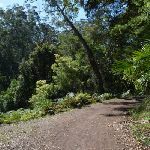 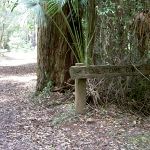 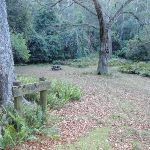 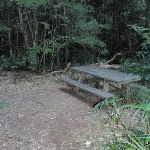 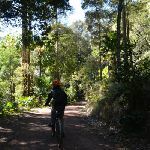 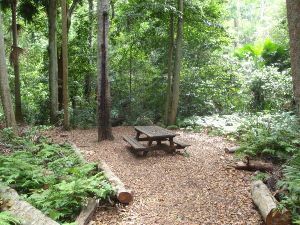 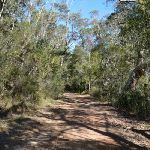 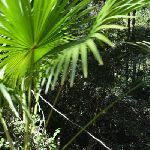 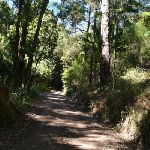 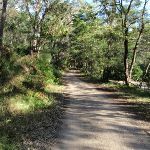 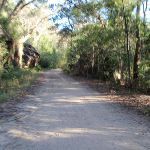 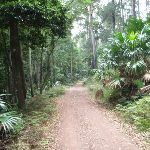 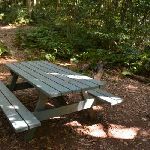 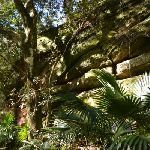 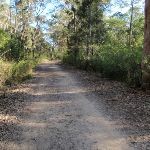 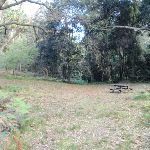 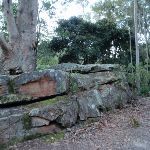 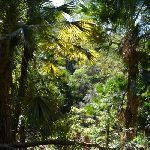 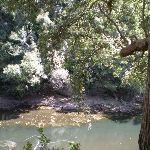 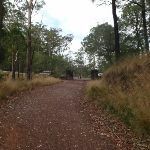 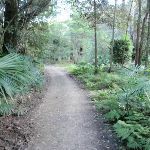 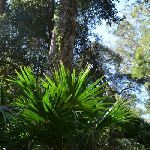 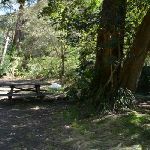 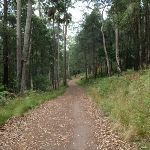 A list of walks that start near the Lady Carrington Drive walk. 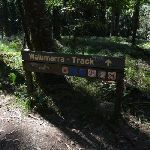 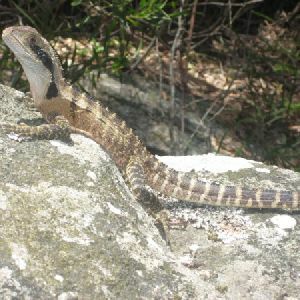 http://new.wildwalks.com/wildwalks_custom/includes/walk_fire_danger.php?walkid=nsw-royalnp-lcd Each park may have its own fire ban, this rating is only valid for today and is based on information from the RFS Please check the RFS Website for more information.